Responsibilities: What is the difference between the attorney’s responsibilities and the client’s responsibilities? Establishing a good attorney-client relationship is key to how the two of you will work together to get a goal accomplished. Work together you say? You might be thinking well, the client hired the attorney to do all of the work. Well, yes, most of the work is done by the attorney. Believe it or not, the attorney and the client have to work together to get something achieved. In order to get work done, we may have to request documents and other things from you. The time it takes to receive those documents, and whether we receive all of them or not, is crucial to how the process will begin. Without specific information from the client, your attorney cannot begin his or her work. It is important to remember that both sides have responsibilities. To ensure the best attorney-client relationship, we both have to keep up with our portion of those responsibilities. Communication: How can I approach my attorney about questions or concerns I may have about the progress of my case? Simple! Call the office and schedule a time to have the attorney call you. When you call the office, you will be speaking directly with me, the paralegal for the firm. I like to schedule calls with existing clients that way I can get it on the calendar, and the attorney will have an entire hour to give his full attention to that client. I also like to get a few details, or the few questions you may have, and I let the attorney know in advance. This way, they can be prepared before conducting the call with you. When we schedule calls, it ensures that each client gets the attention they need without unnecessary interruptions. New Clients: Can I schedule a telephone consultation instead of an in-person consultation? In order for one of our attorneys to be able to assist you as best as they can, it is important to come into the office for a consultation. We recommend you bring any and all documents that may relate to your case. That way, we can scan all the documents and save them into our system. This also makes the process hassle-free. No scanning and emailing from your end; I get it all done while you are in your consultation. If you are out of state and the matter is in Florida, we certainly can conduct a phone consultation. It does help if you provide us with an existing case number (if one exists) and if you give us as many details as possible so we can conduct research before we speak. Remember, our consultations are free. Call us today to get a free consultation on the calendar! What if I do not feel comfortable talking to the attorney? You should feel 100% comfortable talking to your attorney as well as your paralegal. We understand how stressful any legal matter can be. We want the process to be as smooth and as less stressful as possible. Please feel free to call your attorney with any questions or concerns. I cannot give you legal advice as the paralegal, but I can always schedule a phone call between you and the attorney. I will pass your questions along as well because some questions may take a few minutes of research or preparation. The attorneys want to help and they want you to understand what is happening in the case. Also, you should feel comfortable emailing your attorney as well as your paralegal. Sometimes a quick email can be answered faster than a phone call. You should not be afraid of judgement when it comes to discussing something with your attorney. Their job is to help you understand the law, and how it applies to your case. We are a client-driven firm, which means we care about our clients. We want you to feel comfortable talking to us, coming into the office, and asking questions any time. Richert Quarles P.A. focuses on client satisfaction and communication. If you have questions please contact us. We will get a time scheduled to discuss your questions in detail. Feel free to email us as well. Email can be a quick and effective way of getting an answer to a question. 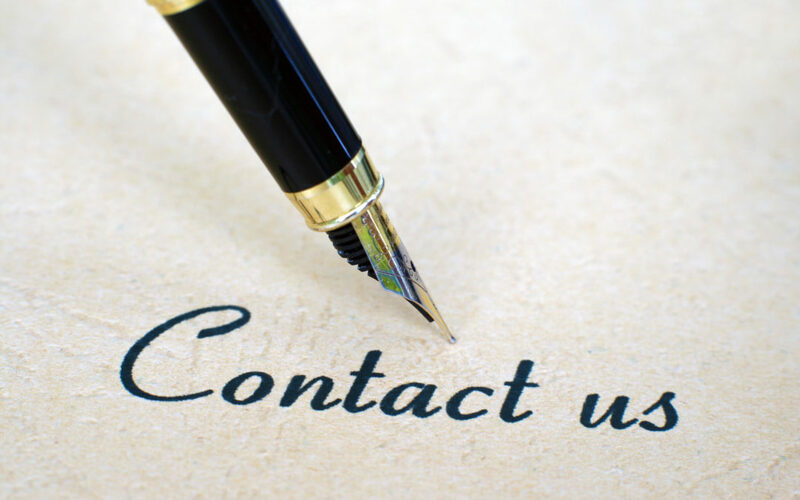 If you are looking for an attorney to help you with a certain legal issue, please give us a call to schedule a free consultation. If you call us and we happen to not practice in that area of law, we will try to refer you to someone who does. We look forward to hearing from you, and helping you in your legal matters!